Over the weekend, my husband and I tried out Glow Juice Bar & Cafe located at Hilton Hotel in Orchard. They specialize in serving organic food and drinks. I had my apprehensions as I've never been a fan of organic and healthy cuisine. 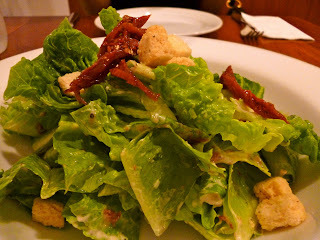 For starters we ordered the Caesar Salad (SGD 24.00) which is part of their weekly specials. It's a pity this is not part of their regular menu since my husband and I really enjoyed this. The lettuce was very sweet, and I loved that they added strips of sun-dried tomatoes on top which was just delicious. For mains I had the Grilled Lamb Cutlet (SGD 29.00). 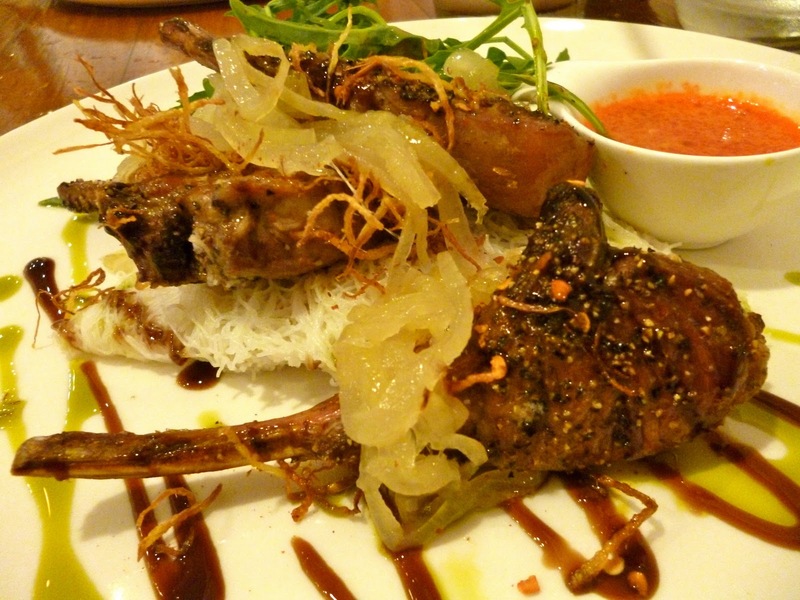 This was served with a spiced vinegar sauce on the side which complemented the lamb very well. The meat was also cooked perfectly medium, just like I had asked. There were crispy julienne slices of ginger which I thought was a nice touch -- this removed the gamey taste of the lamb. I enjoyed this dish thoroughly. My husband had the Grilled Alaskan Black Cod (SGD 28.00). This was also very well executed. The tandoori spices used was excellent on the cod, and the crispy papadum was scrumptious as well. The mint yoghurt sauce served on the side however was not our cup of tea, and therefore we did not touch much of it throughout the meal. 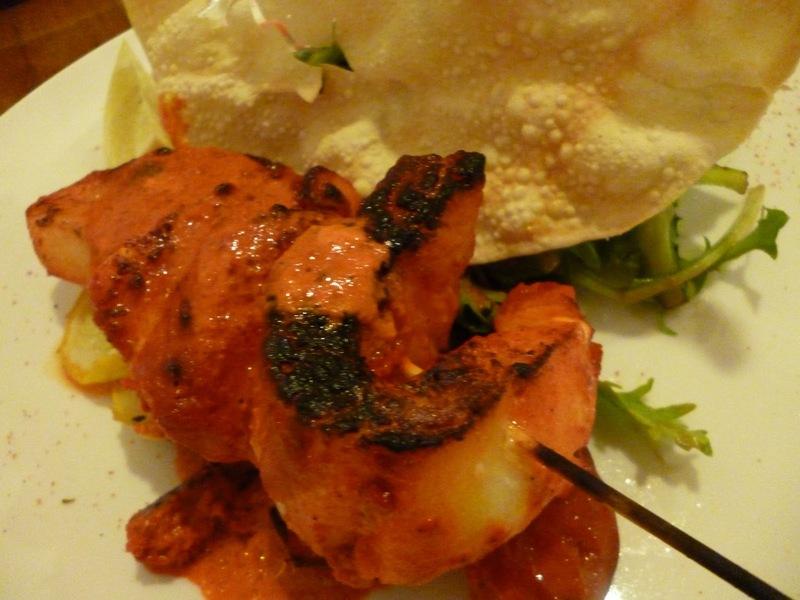 Everything we ordered at Glow was commendable and very enjoyable. The meals did not taste too "organic" at all, and I thought the seasoning of each dish was perfect. However like all things organic in Singapore, pricing is not cheap. But I would still recommend this place for a visit for wholesome and delicious food. Organic has better taste than non organic.Organic products grown without fertilizers containing synthetics.Love to organic..
Hey Good Food, thanks for dropping by. I'm just slowly getting used to the whole organic craze and discovering some nice new food finds in the process. Can't really taste yet the difference of non-fertilized vs. fertilized veggies, but perhaps my taste buds are not trained enough yet. As of 1st Jan 2019, glow will be relocated to 583 orchard Road #B1-05/09 Forum The Shopping Mall.